The industry's only independent rear suspension where the rear wheels pivot up and down in a vertical line rather than a more cumbersome butterfly motion. 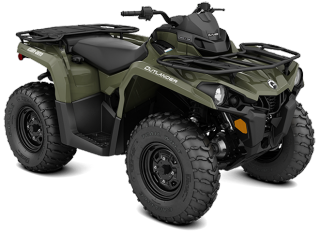 It is also strategically designed to offer point-and-shoot handling, optimal traction and the efficient transferring of power to the ground. 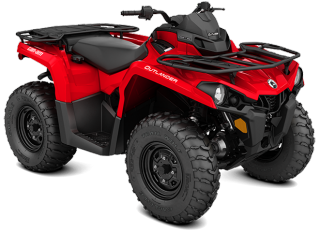 With 5 preload settings on the shocks and 8.8 inches (22 cm) of suspension travel, the Outlander soaks up rough terrain to keep the rider comfortable and focused on the trail. 83 x 46 x 49 in.